The Washington Nationals shocked the baseball world when they came out of the shadows to sign ​Patrick Corbin, the most prized free agent as far as starting pitchers were concerned. 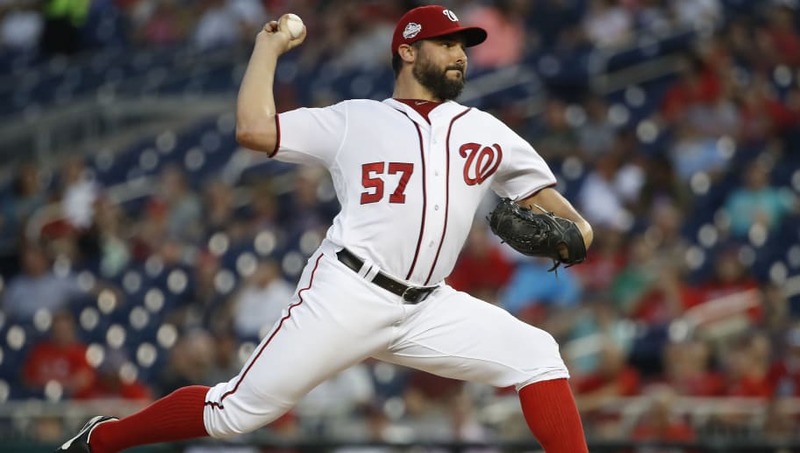 After adding the much-needed rotation depth, it was just recently revealed that the Nats were ​actively shopping starting pitcher Tanner Roark. Well, it did not take long to find a suitor for the 32-year-old as the ​Cincinnati Reds have just announced that they've acquired Roark from Washington in exchange for right-handed reliever Tanner Rainey. Roark entering his third of three years of arbitration eligibility, so this is essentially a rental for the Reds. The five-year ​MLB veteran had a career year in 2016, finishing with a 2.83 ERA, but hasn’t been able to replicate that efficiency since. Just this past season, Roark posted a 4.34 ERA with 146 strikeouts and 50 walks over 180 innings. Rainey, on the other hand, surrendered 19 runs in just seven innings in the Big League's in 2018. The 25-year-old spent most of his year with Triple-A Louisville where he posted a 2.65 ERA with 65 strikeouts and 35 walks in 51 innings of relief.